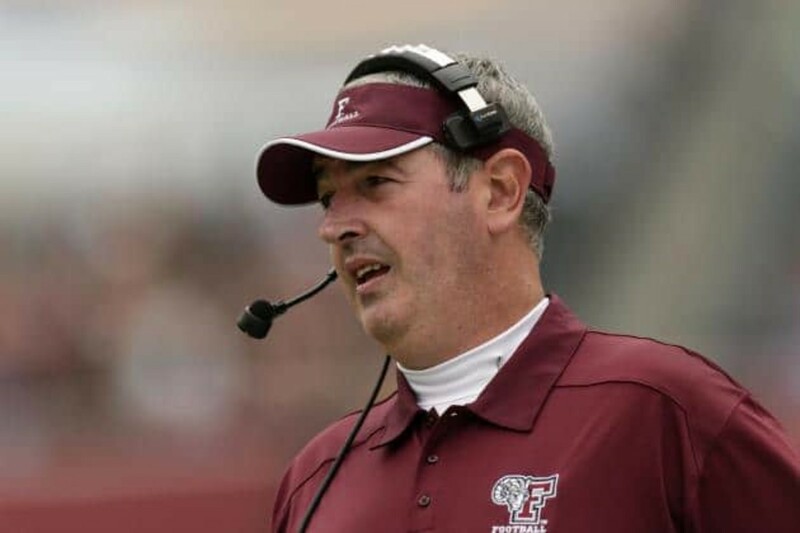 Over the weekend, Joe Moorhead left his post as Fordham’s head coach to become Penn State’s offensive coordinator. 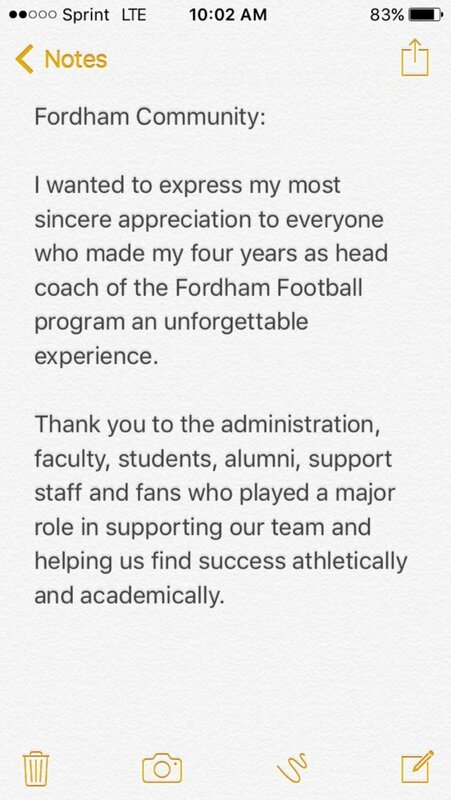 He left the program in better shape than he found it, with a 38-13 record and three FCS playoffs appearances in four seasons. Still, he left it. Leaving is always a tough process, no matter the reasons involved. 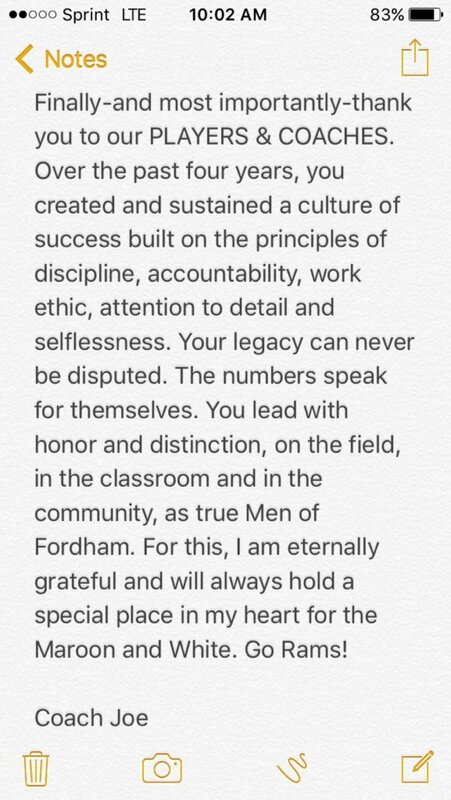 With his team out of the playoffs and scattered across the country for Christmas break, Moorhead posted this note on Twitter on Monday. Addressing players in person is (obviously) the preferred method of saying goodbye, but Moorhead found a way to thank them and the Rams’ fans and supporters even when that became impossible. As an aside, who could have predicted the Note app on the iPhone would play such an important role in modern day college football?